Club Penguin Cheats by Mimo777 Club Penguin Cheats by Mimo777: Club Penguin Toys - Where To Buy! 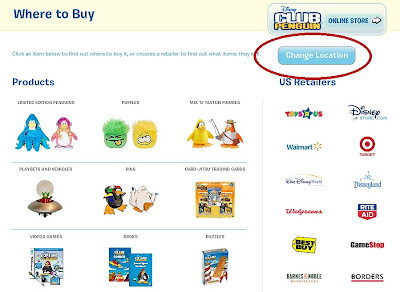 If you want to know where to find Club Penguin toys in your area, just click on the "Where to buy" button. 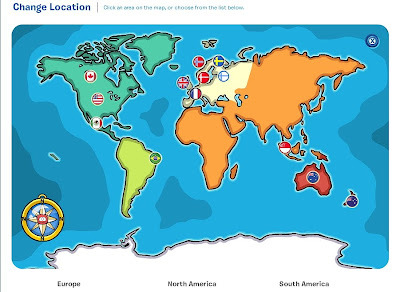 If you are in a different location, just click the "Change location" button. You can now click on your current location. Wow! I think this is a great change! Sure makes it easier to know where to find the toys! What do you think about this toy page update? thats so awesome!!!! 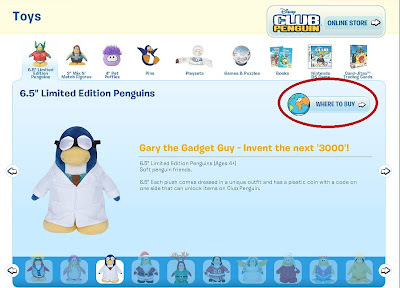 and thats a really good update because i never know where to buy clubpenguin toys! :) waddle on!! i think its a great idea! now i can buy in stores, too! I think it's really cool that they did that so everyone o to the toy page I wanna see what new things have been updated? Thats an awesome idea and i think it will work great! I didn't even know half the stores it shows had cp stuff! They will probably have it at the same time and the st patricks day clothes might be free items. I dont think its that accurate, it says for UK saisburys sells plush toys!? Well i've never seen them there lolz! Cool though, Waddle On!